Uganda: A Christian pastor was poisoned to death by a Muslim. Micah Byamukama, 61, pastor of a Baptist Church, died on May 15, after ingesting an insecticide that a Muslim, Ahmed Mupere, had put into his food. Ahmed was upset that the pastor challenged his belief in jinn, supernatural creatures attested to in Islamic literature, including the Koran. 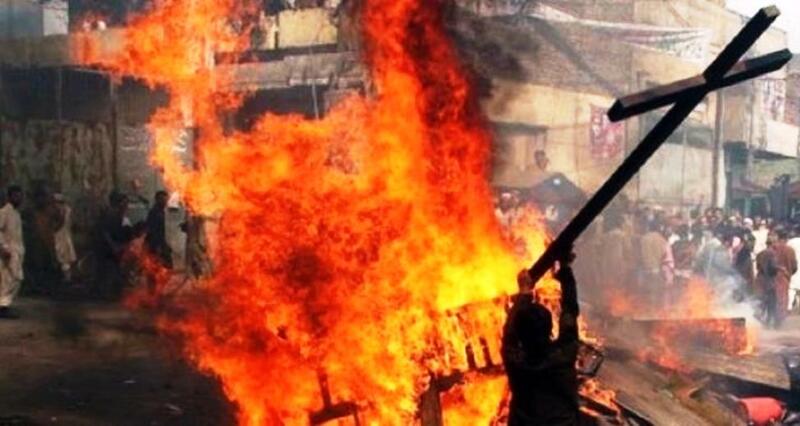 “The true God is the God of the Lord Jesus Christ, who conquered the power of Satan including the Islamic Jinn… the Islamic Jinn are acts of Satan and should be denounced,” the pastor had apparently said. Soon, unidentified persons believed to have been hired by Ahmed attacked and wounded the pastor with knives. Five days after the knife attack, Ahmed, pretending not to be angry, came to visit the pastor, a widower with no children. According to the report, “Feigning reconciliation as he dined with the pastor from a shared dish, Ahmed secretly put poison on the food and stopped eating as Pastor Byamukama continued.” Shortly thereafter, the Christian man began having stomach pains, was rushed to the hospital and soon declared dead. Earlier, the pastor had told his neighbor, “Ahmed took a little food with me and then stopped. When I asked him why not continue with the food, he said he had eaten at his home, and that he wanted [to] go back home because it was getting late.” A nurse said the pastor died from ingesting a highly toxic insecticide. Once investigations began, Ahmed fled. The incident is the latest in a series of attacks, including other poisonings, by Muslims against Christians in eastern Uganda. In a separate incident in Uganda, a Muslim man strangled his wife to death for leaving Islam and converting to Christianity. Awali Kakaire, 34, began to suspect that his wife Mariam Nakiriya, 30, was a Christian a month earlier, when the local imam asked him why his wife and children had not been attending the mosque or madrassa (Islamic school). According to one of Kakaire’s sons: “Our father questioned us why we have stopped attending the madrassa, but we told him that we were busy with school work as our mother had instructed us This made my father to cool down his tempers.” Then, on May 8, Kakaire awoke at 6 a.m., and after his Islamic cleansing ritual, woke his wife to join him in morning Islamic prayers: “Our mother refused, and our father started strangling her as she cried for help,” his son said. After killing her, Kakaire left the house only to return two hours later and force his five children, ages 5 to 12, into a hole he had dug in a nearby garden. “We resisted and began screaming, and neighbors arrived immediately, but he had already dumped us into the hole that he had dug. Seeing the neighbors, he tried to flee but he was overtaken and then began to be questioned by those who surrounded him.” Kakaire was heard shouting “My family has no respect for Islam.” Thanks to some local Muslim, Kakaire managed to escape the murder scene. Bangladesh: “Fighters from the Islamic State assassinated a doctor who called to Christianity in Kushtia, western Bangladesh,” announced in a brief statement issued in Arabic. Doctor Sanaur Rahman, 58, was riding home on his motorcycle along with his friend when they were attacked by machete-wielding terrorists. Rahman was hacked to death, while Zaman was critically wounded in the attack. The doctor was popular in his village because he used to treat and offer medicine to poor people free of charge and ran a free clinic on Fridays. I was able to identify the sheikh because we are neighbors, and my father had been questioning him about the Islamic faith not leading one to salvation with God. The sheikh had said to him, “You have no respect of our religion, and we have come for your life today.” They started strangling my father as well as hitting him on the head with a big stick. When my father fell down, I managed to escape through the window. Tanzania: Another church was burned to the ground. The Roman Catholic church in the Kagera region is the third church in four months to be burned down in the nation. According to a local pastor, “Since 2013 we have had over 13 churches torched here in Kagera and no-one has been held accountable. This is not acceptable.” Fortunatus Bijura, a priest at the church, said: “Those who think that destroying our church means we won’t pray, they are wrong … We have a big tree near the church and will continue meeting there for prayers.” Tanzania is approximately 35% Muslim. During the reporting period, human rights groups inside Iran reported a significant increase in the number of physical assaults and beatings of Christians in prison. Some activists believe the assaults, which have been directed against converts who are leaders of underground house churches, are meant to intimidate others who may wish to convert to Christianity. A separate report from May indicates that one Christian prisoner in Iran, Maryam (Nasim) Naghash Zargaran, who earlier underwent heart surgery, is suffering from illnesses, including nausea, ear pain, and chronic pain in her joints and spinal cord, which were diagnosed as caused by lumbar disk, arthritis, and osteoporosis. Regardless, prison officials have refused to transfer her to a hospital to receive proper medical care. Mrs. Zargaran was initially summoned to an Iranian intelligence office for interrogation in March of 2011. Interrogators constantly threatened her and her family, insulted her and questioned her Christian activities.